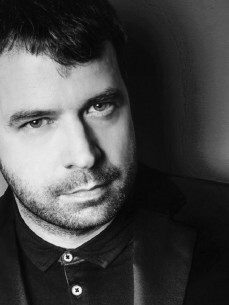 Lange is recognized as one of the most influential dance artists of the past decade; a DJ who has remained at the forefront of the scene throughout his career and a producer that continues to push all boundaries. After an exhausting list of achievements, counting among them 20 UK top 40s, featuring on a film soundtrack, and remixing mainstream artists such as The Pet Shop Boys and Faithless, Lange remains one of the world's leading EDM producers. Alongside Lange's exceptional and successful studio work, he is a prolific international DJ, making appearances for some of the best club brands in the world including Insomniac, Cream, Godskitchen and Gatecrasher as well as performing for prestigious events such as such as Tomorrowland, EDC, Global Gathering, Sziget, Balaton, and ASOT and marked by his sustained appearance in the influential Top 100 DJ Poll for 8 years and rising to no. 6 in the well supported Tranceaddict Top 250 Poll. His eclectic, stimulating and driving sets pull influences from across the dance music spectrum from trance, progressive, techno and electro; he is an exciting performer that keeps the crowd buzzing for more.